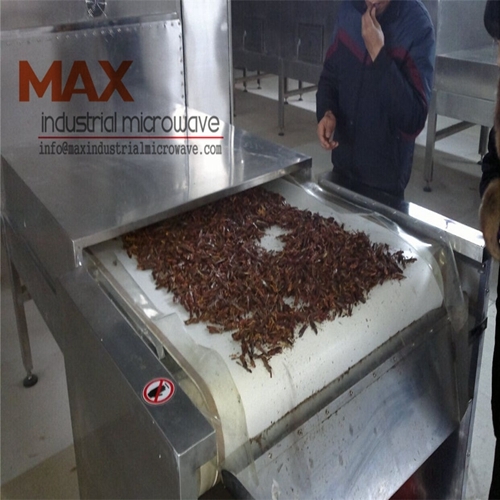 As a industrial microwave manufacturer, MAX Industrial Microwave has the capabilities to dry and pasteurize a wide range of insect and bug such as mealworm, super worm, Black Solider Fly Larva, Cricket, grasshopper and silkworm(cocoon) etc. As we know, people start to consume the insect as the important food nutrition resource. 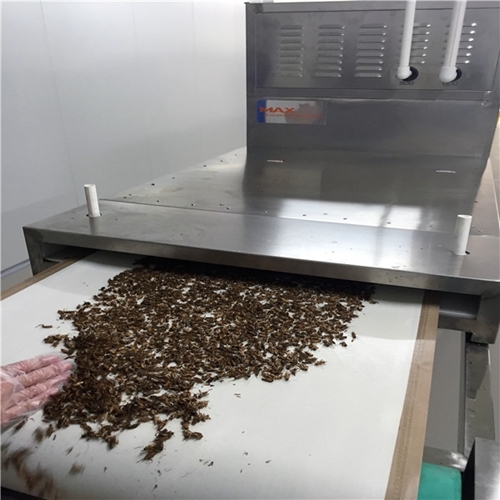 After microwave drying and disinfection, the insects could be futher for edible purpose or milling powder as dietary supplement. 1. 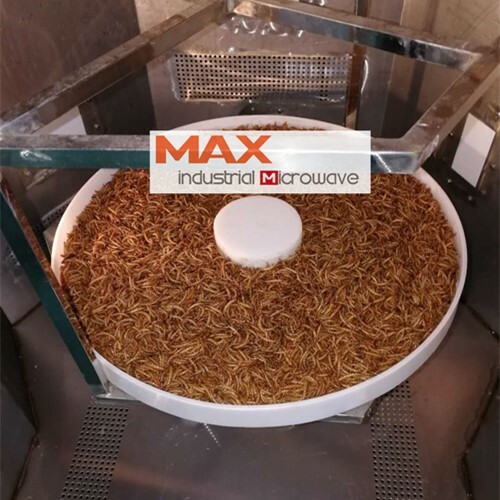 For black solider fly larva, the microwave energy directly dry the insect surface and core parts which can achieve a homogeneous drying result. 2. According to your workshop insects breeding capacity, we provide either batch oven microwave dryer or tunnel conveyor dryer to meet with you demands. 3. 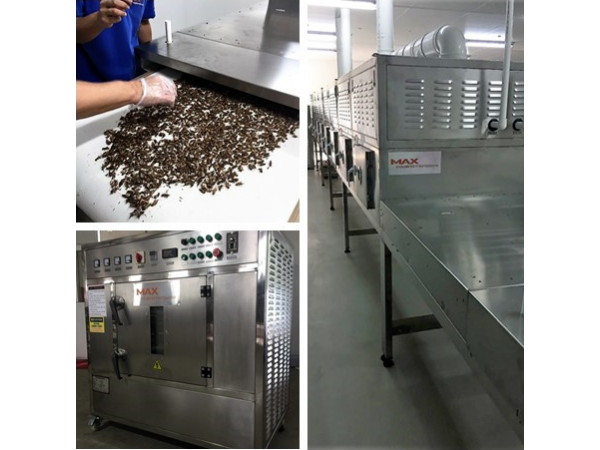 Microwave insects dryer only takes 8~11 minutes to complete the insects drying process so it significantly keep insect original color and minimize nutrition lost. On the other hand, it can puff the bugs that make the dried insect have a better appearance. 4. Sterilize insect to cope with edible standard. Conveyor tunnel microwave dryer continuously heat the insect 24/7. 5. 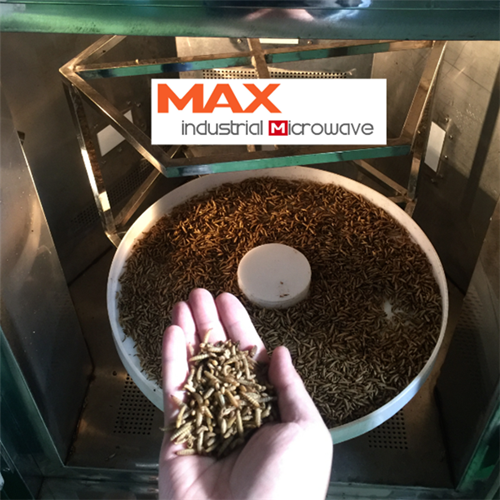 Microwave dryer can dry a wide range of insect like mealworm, grasshopper, crickets, mealworm, super worm, black solider fly larva(BSFL) etc, which either for edible purpose or human consumption. 6. Less labor, easy operating , small working place without pollution and noise. For your insects drying application ,we would make a plan for your project.